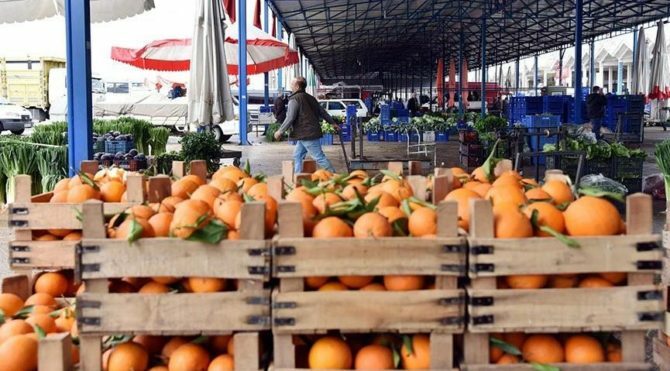 Russia’s ministry of agriculture imposed extra controls on Turkish citrus fruit imports, Sözcü newspaper reported. The ministry said it held meetings with Turkish officials after it was found that the imports contravened certain regulations, Sözcü said, citing a written statement. In the past, Russia has restricted or barred imports of some agricultural products from Turkey citing quality standards. It also banned imports after a political crisis over Turkey’s downing of a Russian military jet flying over the Turkish-Syrian border in 2015. Rusya’dan narenciye ithalatı açıklaması! Rusya’nın, Türkiye’den ithal edilen narenciye ürünlerinde bugünden itibaren sevkiyat öncesi kontrole başladığı bildirildi.